Real Estate Photo Editing Service is now being one of the most important task to grow your Real Estate Business online. Because Real Estate Business online is growing day by day. Your clients are searching for best real estate service providers online just after deciding about taking a service from real estate companies. If your online presence is impressive with good resolution images of your products then you might have the consumer’s attraction. 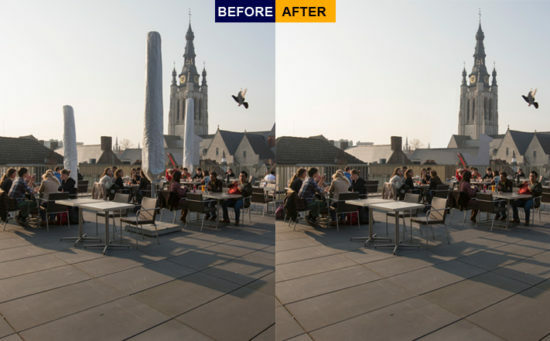 Along with the growing real estate business online, real estate image editing service providing services are gaining popularity in the image editing service industry. Before getting into it, let’s have some words about real state image editing service. Real Estate Photo Editing is different from other photo editing services. Because most of the picture contains much more objects than a regular product image. Only an expert photo editor can work on these images and provide you the best quality images that would grow your sales. Nowadays consumers are getting interested in the professional service provider for their needs. In the real estate industry, there’s no other proper solution but professional real estate service provider. That’s why real estate business owners are improving their professional approaches in different ways. Online presence of a real estate business was ignored earlier. But nowadays they are making improvement on their online presence as it’s the most growing market place around the world by now. Photos are very much related to real estate business as their business is based on people’s demand and dream as well. So, to make your product image live and colorful you must’ve to do proper editing to extract the uniqueness out of the raw image file. 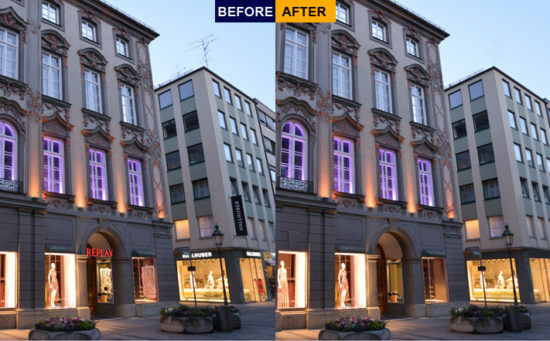 Now that we’ve discussed about the real estate photo editing, it’s time to understand who needs real estate photo editing services. Because not everyone is in need of real estate photo editing service. Who Needs Real Estate Photo Editing Service? Mostly these two types of consumers are taking service from us for their clients and for their businesses. If you are one of them then you must try our service. Real Estate business owners are requiring this service because they don’t want to do it in their office. Instead of that they appoint a service provider to deal with their images. Sometimes business owners hire real estate photographers to capture the images of their project. But as a photographer you must have a number of clients to handle. Instead of working on single client’s project, by taking real estate photo editing service from us you can easily do different projects of your clients. Let’s have a look on how we work on our client’s real estate images. How We Do Real Estate Photo Editing? As we’ve said that, real estate photo editing is different from other photo editing service we are providing. In fact, some days earlier, we have no different service for real estate photo editing. But after having thousands of quotation requisition about real estate photo editing. We’ve launched our service dedicated to real estate image editing. We are using latest technology to make your images more meaningful and attractive to your consumers. So that, they can decide about taking services from your real estate company after watching your project images. We preferably use latest version of adobe software as well as other image editing software. We isolate every object of real estate images and then individually edit them and make them natural as well as relative with other objects of the image. The way we work on a single image no one in the industry is working on the same way. Because to work on the way we work is not very easy. It requires extra effort and hard-work as well as concentration to follow the steps accordingly. Why You Should Try Our Real Estate Photo Editing Service? Real Estate Business owners often try to be hassle free and concentrate on their project improvements. They couldn’t possibly hire an individual to just edit the images of their project and this won’t be a good idea when it comes to investment. Because you are not going to have images all the time. But if you hire an individual then you need to pay him every month. Instead of that, you can take service from us. Here’s a list “why you should take services from us”. We have the best experts of the industry to work on your images. We have a reputation of 10 years working in image editing industry. We have one dedicated expert for one client policy. Apart from all these facility, we have a huge number of recommendation from our clients, that makes us reputed and quality service provider in the industry. Our Services are based on client’s requirements. We believe in trust and long term relationship with our respected clients. At last before you choose any service provider please check the reviews online or offline about their services. Because if you chose a wrong provider to work on you images then you might lose your sales and that could cost you the business. We’ve said that we believe in gaining trust of our client. That’s why we are receiving projects from anonymous consumers recommended by our current and old clients. We work every day to improve our services and quality. We believe in being better than yesterday. What are you waiting for take our “First 2 Images For Free” Service and justify our service.